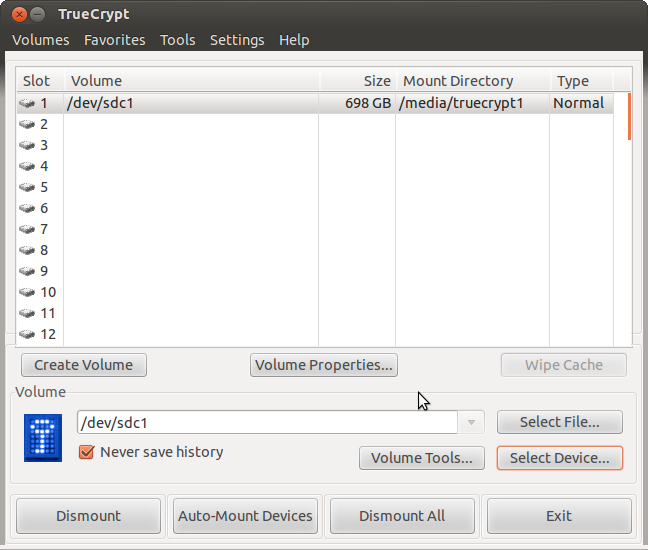 I've got some portable HDs to which I've applied Full Disk Encryption using Truecrypt, basically its my off-site backup. 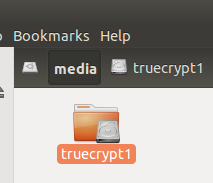 Thing is, "inside" the Truecrypt volume they are formatted for use on my Mac, which I don't want to not use anymore. 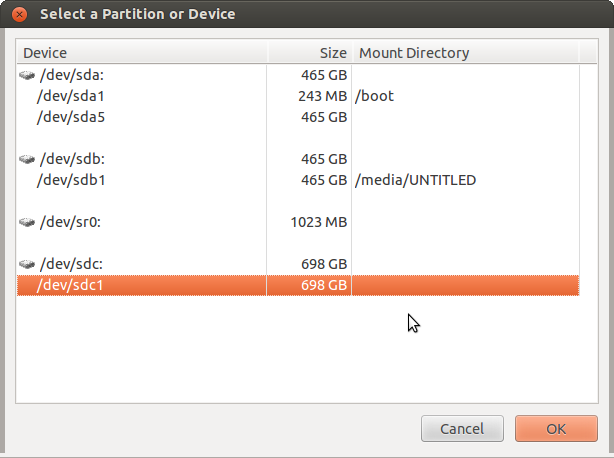 So how to use on my Dell XPS Ultrabook which has Ubuntu 12.04 on it? 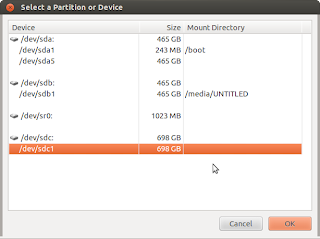 Plug in the external drive, and wait a few seconds while the USB system recongises it. 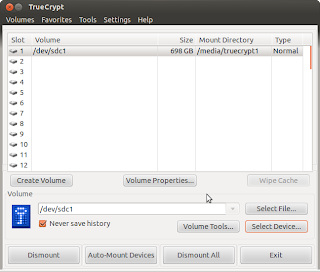 Then you can launch Truecrypt just like on OSX. find the device, select "OK". You might need to enter your admin password. 1. This gives you read access to your files, which is fine for my purposes at the moment.